Unfortunately it’s not quite that simple, as always with eBay the devil is in the details and if you want to be a truly great seller, packaging is just another thing that you have to consider very carefully. And just so that there’s no confusion, I’m talking mainly about the packaging you use to post an item, not the product or retail packaging. Okay, so to get started, let’s first cover the most common packaging materials available and go over which you should generally use for different products. Coming in nearly every shape and size imaginable, regular old cardboard boxes are probably the most commonly used packaging material for eCommerce and eBay sellers. 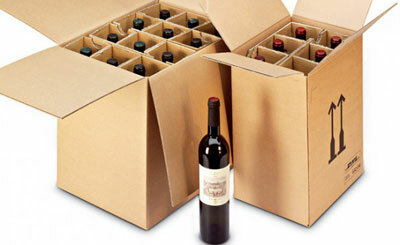 Cardboard boxes are ideal for heavy items (like books) or fragile items (glassware etc.) that need extra protection during shipping. There are also both single-wall and double-wall cardboard boxes, with double-wall obviously offering more protection but being slightly larger and heavier. As you can see, no matter what the product, you can find a near-perfectly fitting cardboard box to post it in. The downsides to cardboard boxes is that they do add some weight and volume, so if this is going to take it into the next price bracket under Royal Mail’s Pricing in Proportion (RM Pricing in Proportion Size and Weight Formats) then you should consider an alternative packaging option to save on postage costs. 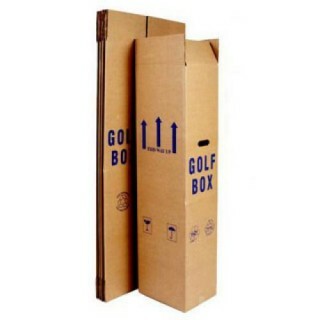 Plus due to the fact that cardboard boxes are the sturdiest shipping option, they are also more expensive. But as with all packaging, if you can buy in bulk then the cost per piece goes down sharply. One money-saving tip if you send a lot of items that fall under the small parcel size with Royal Mail, which is either 45cm x 35cm x 8cm or the deep option – 35cm x 25cm x 16cm, is to buy the max small parcel box size in bulk. Well instead of buying a variety of different box sizes to fit all your items, just buy the largest box size that will still fit as a small parcel, but buy it in real bulk to bring down the price per box, to lower than 50p each, and that’s at still a smallish quantity (c.250). The savings you make that way will more than make up for any extra bubble wrap costs to get smaller items more tightly packed, plus it keeps everything simple and easy to manage! The idea here is to make packaging as quick and easy a process as possible, so you can concentrate on the really important aspects of your business. The next most commonly used packaging material, jiffy bags are basically envelopes with a layer of bubble wrap within, making them the ideal way to send small items as a large letter with Royal Mail, while still offering a good degree of protection. The main reasons for using a jiffy bag over a cardboard box are price and also convenience. It’s not something mentioned often but how much easier is it for a buyer if they order a small item from you and you post it in a jiffy bag that can fit through their letter box! That means no need to arrange for someone to be there to accept the delivery; their order will simply be waiting for them when they get home. Jiffy bags mainly come in white or gold and the price per piece is very low, around 10p each for size 2. You can also find coloured jiffy bags if you want to stand out from the crowd a bit, but of course you have to be willing to pay a slightly higher price. The last of the big 3 packaging materials – mailing bags – they’re incredibly cheap and add practically nothing to the weight and dimensions of the item, but they also offer no protection. As a result, I would only really suggest using mailing bags if the item cannot be easily damaged – so mainly clothing, towels and other fabric items. Some companies use mailing bags for practically everything, but that’s because they’re operating under the ‘small margins, high volume’ mindset which is not something I’m a big fan of. Members of my Easy Auction Business course will know that I use pretty much the opposite tactic to create successful businesses on eBay. So please don’t do that! It reminds me of a time when I received a mobile phone I’d ordered, packed in nothing but a mailing bag… the phone itself was thankfully not damaged but its box was and overall, it just left a bad feeling with me as a customer. Don’t cut corners, mailing bags are cost-effective and very useful, but only use them with the right products! Okay, so that’s it for packaging materials. Of course there are more options available besides cardboard boxes, jiffy envelopes and mailing bags but those are specialist items used in specific situations – for an average eBay seller, this is all you’ll need. Bubble wrap should be used to add an extra layer of protection to items that need it, particularly when using cardboard boxes, as the contents are usually not packed so airtight. Bubble wrap is so cheap that it’s usually sold in bulk rolls, and it comes in 3 different bubble sizes: small – suitable for small, lightweight and fragile items, medium – suitable for heavier or less fragile items, and lastly large – large bubble wrap is usually used as a filler within a box, to ensure that items don’t slide around and get damaged inside. When buying bubble wrap, you have to choose the width of the sheet and also the length of the roll. Obviously buying larger widths is cheaper per sq cm of bubble wrap but also means more cutting for smaller items. Overall though, any option is very cheap so go for whatever is easiest to store and use. A 300mm wide 100m long roll of small bubble wrap costs less than £7 on eBay and should last you through countless orders. An alternative to bubble wrap, foam wrap is basically equivalent to the medium sized bubble option. Not much difference in price or quality vs. bubble wrap so use whichever you want. No eBay store room would be complete without rolls of brown packaging tape! Please don’t be one of those sellers who uses normal office, clear tape to seal up boxes… just buy a few rolls of real packaging tape to properly protect your shipment. Packaging tape is especially useful if you’re using single-wall boxes and want to ensure the seams are properly protected against water and other possible damage. Where to buy packaging supplies? I’m asked this question so often, “where is the cheapest place for me to buy packaging materials?” and my answer is – eBay itself! Yes, for small-medium quantities, eBay is probably the best and easiest way to buy your packaging supplies. It’s easy to compare different options and sellers and the pricing is always very competitive. When you’re at the point in your business that you can order very large quantities in one go, then it may be worthwhile shopping around on Google for a new supplier, especially if you need custom branded packaging (check out my Product Branding guide here). But until then, eBay is the place to go. Now though not strictly packaging, here are some additional tools/accessories every eBay seller should have. Remember; don’t think of these as extra costs, but rather as investments to free up your time and energy for more important tasks. To save time double-checking the weight of your packages at the post office, or even worse; your customer having to pay extra postage because you sent something in the wrong price bracket, invest in some digital scales you can use at home. They’re much more accurate than regular kitchen scales, and really are not expensive at all considering the time and hassle you’ll save. Just search for ‘postal scales’ on eBay and you’ll find a ton of options. Which to go for depends on the average size of the items you send but a simple 20kg scale with 1g increment accuracy should suit most needs, and will cost you less than £30 – a worthy one-off investment in my view. These are incredibly useful for eBay sellers who sell different sized items and will save you many hours of measuring and re-measuring just to be sure. Do a search on eBay for ‘Royal Mail template’ and there will be countless results, from as little as £3.00 for letter/large letter only options. Last but not least in the list of needed packaging accessories is a label printer. I’ve always stressed how important it is to automate as many of the tedious jobs in your eBay business as possible. After all, what is the point of running your own business if you end up picking and packing orders all day for minimum wage!? So a label printer is one of the first things you should invest in when you get started with your eBay business. Label printers use thermal printing, which means no ink is needed. So there are very little ongoing running costs once you’ve made the initial purchase. And though original labels are expensive, there are plenty of compatible options available on eBay for a fraction of the price that work fine. With all things considered, I’d recommend the Dymo 450 as the no.1 choice for eBay sellers; it’s very small and incredibly easy to use, and best of all – it’s available on Amazon at the moment for less than £60 including 3 free label rolls. 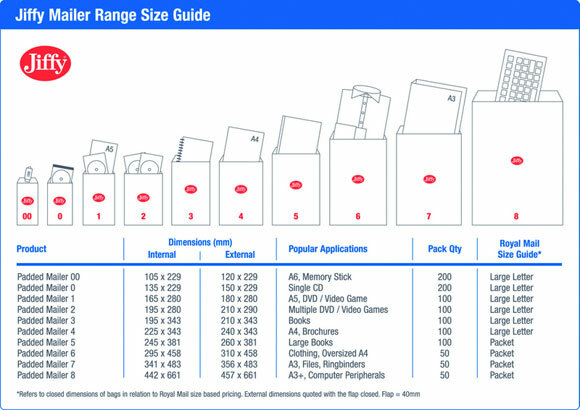 That pretty much brings us to the end of this packaging guide – I hope you found some of this information useful. And remember, packaging is an important aspect of your eBay business, but it’s not something you should be constantly worrying or thinking about. No, there are much more important tasks you need to concentrate on to successfully grow your eBay business. As always, if you have any questions at all, please post in the comments box below and I’ll answer you personally. and eBay’s clunky postage purchasing – I don’t need to use half an A4 sheet of paper and printing multiple labels seems to be more of an act of finesse than a well defined process – I’ve done a ‘trial run’ of this process twice now and after entering shipping details for multiple shipments, eBay has now twice abruptly told me at the end of it I’d (without confirmation) purchased postage for one item! That is if you do decent business and spend at least £100 a week on Royal Mail. CHEAPEST Packaging Materials for eBay Sellers! If businesses really want to make their parcels stand out, there’s the option to have their jiffy bags custom printed with company details, product shots or special offers. Low MOQ’s from just 100 bubble envelopes! Great way to turn packaging into a marketing tool at the same time! Yep, that’s a very good marketing tactic. Regarding labels, I have always used the packing slip that is printed from eBay and Amazon along with a doc pouch to label parcels. What’s the benefit of the label printer over this? Well, it’s easier to use plus the labels look more professional and are weather resistant. Integrated labels is another option you can use to streamline this process without buying a Dymo printer. With integrated labels you just print out invoices as usual from eBay and peel of the shipping label to attach to parcels.